Just a quick reminder to keep Halloween Candy out of your pets reach. Chocolate and Xylitol which is a sweetener found in many candies (ex: gum/hard candies), can be extremely toxic to pets. Lollipops and their sticks can be choking hazards and cause a painful obstruction in your pet. Make sure to dispose of candy wrappers and Halloween treat bags immediately. For more Halloween Pet Safety Tips see our Oct 2nd blog. As park advocates, the San Onofre Parks Foundation invites enthusiastic dog lovers to take part in connecting with the State Parks. 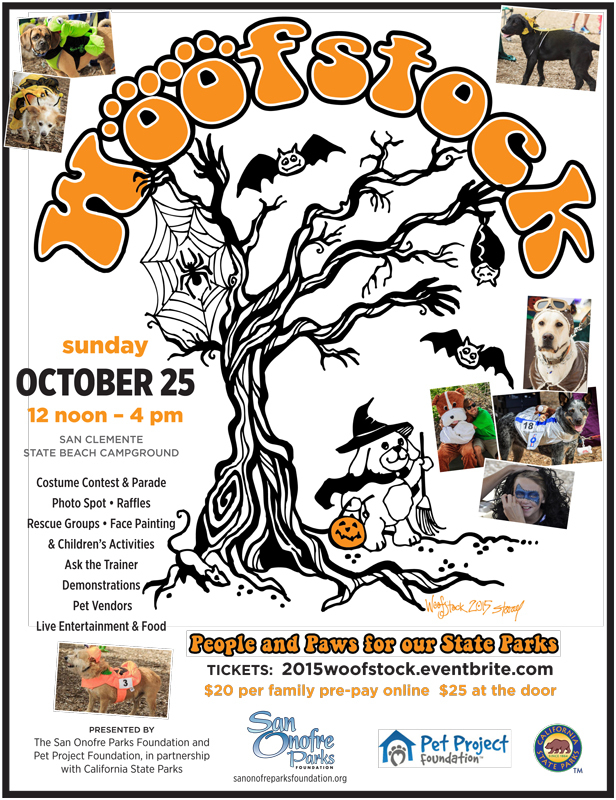 Proceeds from the event will go to the Pet Project Foundation for animal welfare and to the San Onofre Parks Foundation for annual pet waste stations costs as well as providing new station upgrades within the parks. 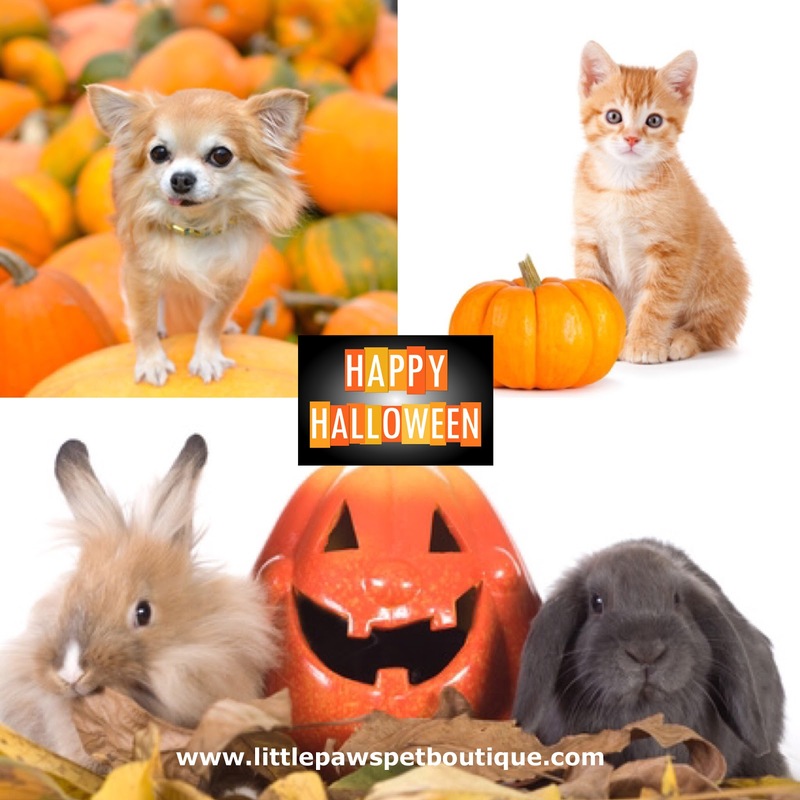 Happy Halloween From Little Paws Pet Boutique! Wishing you and your pet(s) a fun and safe Halloween. 1. No tricks, no treats do not feed your pet candy! If you do suspect your pet has ingested something toxic, please call your veterinarian or Animal Poison Control Center. 2. Wires and cords from electric lights and other decorations should be kept out of reach of your pets. 3. A carved pumpkin certainly is festive, but do exercise caution if you choose to add a candle. 4. If you do dress up your pet, make sure the costume does not constrict the animal's movement or hearing, or impede his ability to breathe, bark or meow. Also, be sure to try on costumes before the big night. 5. Keep nervous dogs and cats in a separate room away from the front door during peak trick-or-treating hours. Too many strangers can be scary and stressful for pets. 6. When opening the door for trick-or-treaters, take care that your cat or dog doesn't dart outside. 7. Always make sure your dog or cat has proper identification and a reflective collar.